even though we’re just apartment homesteaders, i still practice zero waste and self provisioning as much as possible. one of my favorite easy things to make is veggie stock. i keep a tupperware or a bag in my freezer, and throw in food scraps every day. once the bag fills up, i dump all the frozen scraps into a stockpot and make stock. anything unsuitable goes into the compost bin, and anything usable goes into the freezer. throw all your veggies in a pot and cover with 2″ of water. boil for about an hour with the lid cracked – today i accidentally let mine go almost two, no worries. try to keep it somewhere between a simmer and a boil. strain the scraps out and put up your stock in jars. 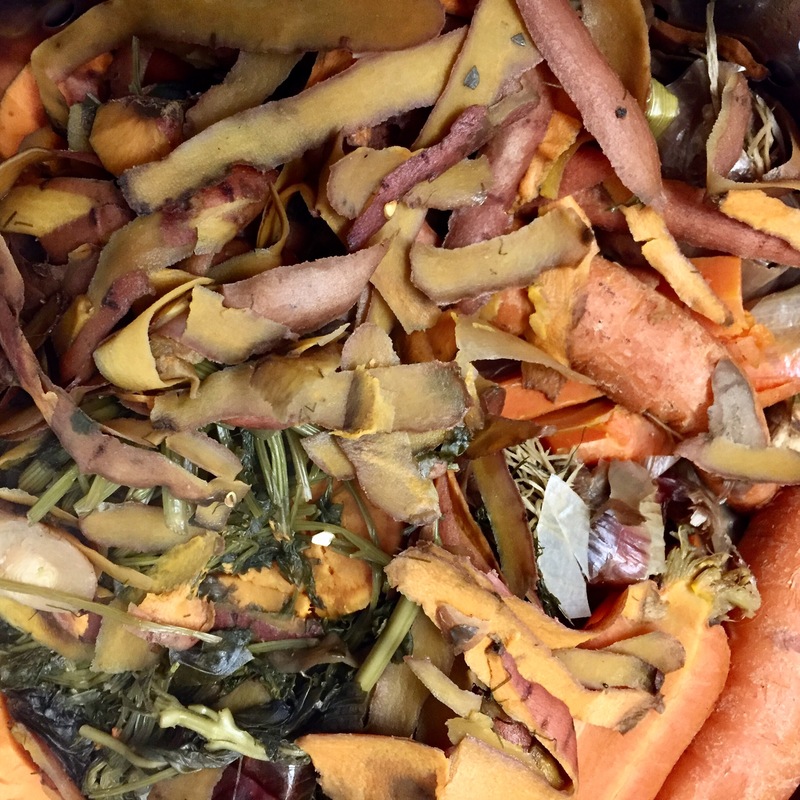 throw your stained scraps into the compost. you could go through the process of pressure canning the jars, but i just throw mine all in the fridge. we go through stock fast enough that i never worry about getting sick. obviously, smell your stock before you use it. i put stock in everything. it’s great to add some as cooking water for rice, pasta, or quinoa; steaming liquid for veggies, roasting liquid, etc. seeing as organic veggie stock is $3/ quart, this saves us a heck of a lot of money.